The Very Thought of You (Ray Noble) is a popular jazz standard. 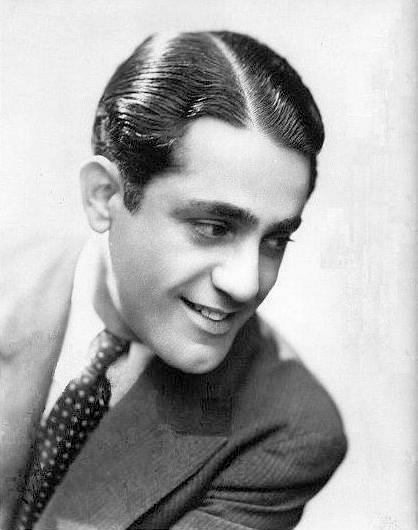 In addition to Noble’s own hit recording of the song with his orchestra, featuring the vocals of Al Bowlly, there was also a popular version recorded that same year by Bing Crosby. A decade later, the song was on the charts again in a version by Vaughn Monroe. Doris Day sang the song in the 1950 movie Young Man with a Horn, a fictional tale partly based on the life of early jazz trumpeter Bix Beiderbecke. In 1961, “The Very Thought of You” was on the charts again, in a rhythm & blues version recorded by Little Willie John, and three years later a rock and roll version by Ricky Nelson reached #26 on the Billboard chart, lasting 7 weeks in the Hot 100 and crossing to #11 on Billboard’s Easy Listening chart. Ella Fitzgerald recorded this with Nelson Riddle on the 1962 Verve release “Ella Swings Gently with Nelson”, and then again, live, on her 1974 Pablo release Ella in London, with Joe Pass on guitar. There have also been numerous other recordings of the song by jazz and pop standards artists, including Frank Sinatra, Nat “King” Cole, Carmen McRae, Billie Holiday, and Elvis Costello; and a blues version on Albert King’s Born Under a Bad Sign album. More recently, Tony Bennett and Paul McCartney recorded a duet version of the song for the former’s album, Duets: An American Classic. An instrumental version of the song is also among the background music in the film Casablanca in the scene where Sascha kisses Rick Blaine on the cheek. 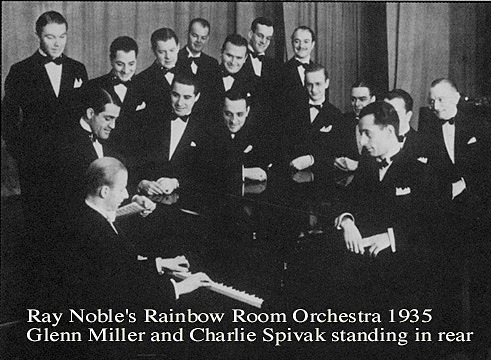 Due to the American success of Noble’s recordings with Bowlly, both men, along with Noble’s drummer and manager Billy Harty, came to the U.S. towards the end of 1934. Noble and Harty engaged the services of trombonist Glenn Miller to assemble a band of top-flight American musicians to perform at Radio City’s swanky Rainbow Room in New York, quite possibly one of the choicest gigs in the U.S. Loaded with such fine jazz players as Bud Freeman (tenor sax), George Van Eps (guitar), Claude Thornhill (piano), Will Bradley (trombone), and Pee Wee Erwin (trumpet), the band opened at the Rainbow Room in early 1935. Definitely one of my favorites of the Great American Songbook. Billie Holiday’s version is my favorite. Hi John, Yes. I agree.